A program designed to prevent unintended pregnancies and reduce birth defects during the height of the 2016-17 Zika virus outbreak in Puerto Rico successfully served more than 21,000 women during a 16-month period. Supported by the CDC Foundation, with technical assistance from the Centers for Disease Control and Prevention (CDC), and led by an Emory University faculty member working with CDC, the Zika Contraception Access Network (Z-CAN) provided women who wanted to prevent pregnancy access with a full range of contraceptive options, free of charge, on the same day of their initial clinic visit. Z-CAN's design and implementation process is further described by organizers and researchers in the January 18 issue of The Lancet Public Health. Z-CAN was established in May 2016 to address a dire need to improve contraceptive access in Puerto Rico during the Zika outbreak. According to CDC, Zika virus infection during pregnancy can cause serious birth defects, including microcephaly. During the outbreak, Puerto Rico had the highest number of symptomatic Zika virus infections in the U.S. and U.S. territories. Additionally, researchers report that 65 percent of pregnancies in Puerto Rico were unintended in 2016. 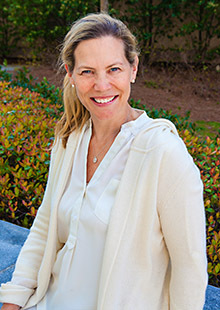 "Our collective goal was to rapidly develop and implement a program that could provide high-quality reversible contraceptive services in an emergency setting to women in Puerto Rico who wanted to prevent pregnancy and to avoid Zika-related birth defects," says Eva Lathrop, MD, MPH, associate professor in the Department of Gynecology and Obstetrics at Emory University School of Medicine and in Rollins School of Public Health's Department of Global Health, and lead author of the Lancet Public Health article. Lathrop served as the lead for contraception on the Pregnancy and Birth Defects Task Force during CDC's Zika virus response efforts. Two other Emory faculty members, Denise Jamieson, MD, MPH, and Erin Berry-Bibee, MD, MPH, both with Emory's Department of Gynecology and Obstetrics, also worked on the Z-CAN program. "Prior to Z-CAN, there were numerous barriers that limited women's access to contraception," says Emory's Lathrop, who spent more than 500 days working on the Zika response team through CDC. "Through Z-CAN, we were able to reduce these barriers and give women who wanted to prevent pregnancy access to the contraceptive method of their choice, including long-acting reversible contraception (LARC), such as intrauterine devices (IUDs) and contraceptive implants." In nearly 140 already established clinics providing gynecology and obstetrics services in Puerto Rico, 21,124 women received contraceptive services from a network of 153 providers, specially trained and participating in the Z-CAN program across the island. All Z-CAN services were provided free of charge. Ninety-five percent of those women received a contraceptive method on the day of their initial Z-CAN visit. While only four percent used a LARC method prior to Z-CAN, 67.5 percent chose and received a LARC method at their initial visit. Among women who received a LARC method, 75.8 percent used no method or a less effective method (i.e., condoms or withdrawal) prior to their Z-CAN visit. "We are very pleased with the impact of Z-CAN and extremely grateful to all the donors and partners who quickly stepped forward to support the program during the Zika outbreak in Puerto Rico," says Judith Monroe, MD, president and CEO of the CDC Foundation. "Strong partnerships from government, philanthropic, health and corporate sectors were essential to the success of Z-CAN and helped to protect more women in Puerto Rico, thereby reducing Zika-related birth defects." The CDC Foundation is an independent nonprofit created by Congress to mobilize philanthropic and private-sector resources to support CDC's critical health protection work. "Z-CAN demonstrates that with a concerted effort, commitment by many dedicated resources and recognition of the benefits of giving women options to prevent pregnancy during a time of crisis, it is possible to prioritize and implement effective contraceptive services early in an emergency response," says Lathrop. "We hope these efforts continue to assist the people of Puerto Rico."